"Recently, it seems as though a day hasn’t gone by this summer where the question doesn’t come up. Whether it’s phone calls, walk in shop convos, or casual talks amongst peers. Pretty much every time the topic arises the underlying notion is that the current state of steelhead is bad, doomed, saddening, or just plain frustrating. Certainly I’m not here to deny any truth to such notions but rather attempt to learn a little more and read between the lines if at all possible. 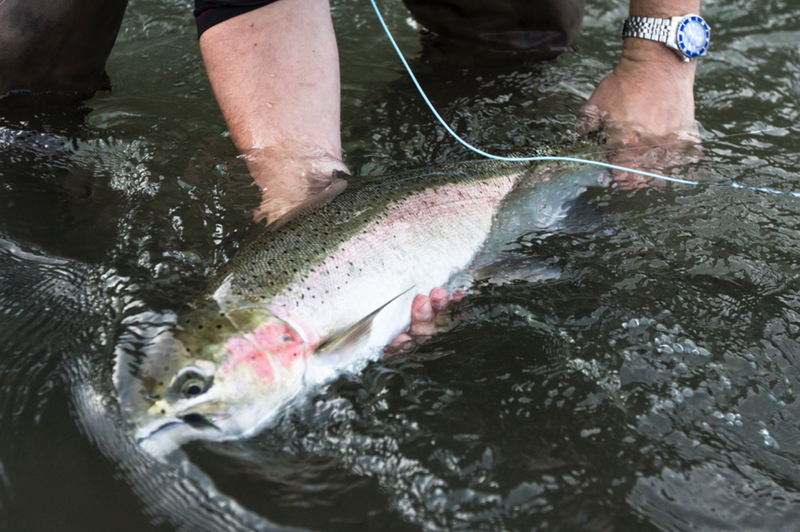 The point of this editorial isn’t to deny the fact that wild steelhead are in peril, or that human caused activity hasn’t hurt fisheries, nor does it look at other dams or regions and their current/historical status quo, but rather attempts to make sense of the current state of steelhead in regards to our local waters- specifically the Bonneville Dam fish counts."